Daan van Beek is an experienced speaker and loves to be on the stage, explaining Business Intelligence, Data Analytics, and performance improvement. He specializes in the concept of the ‘intelligent organization’, which is the title of one of his books. 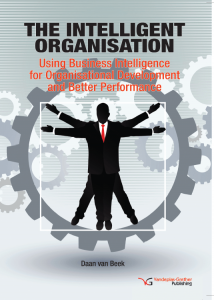 Daan is also an expert in structuring the Business Intelligence process within the organization. He has a fresh vision on the field of Business Analytics & Data Science and likes to “entertrain” the audience during his keynotes. We love to help you getting started with daan van beek as a speaker.